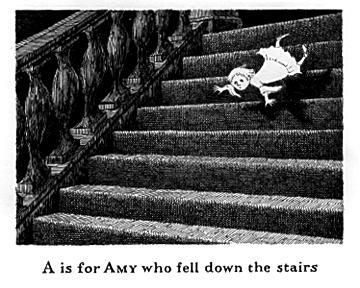 Ladies and Gentlemen: The Gashlycrumb Tinies, by Edward Gorey. 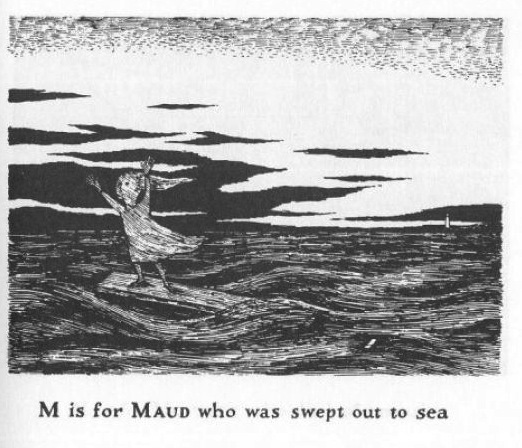 Beauty in a subversive alphabet…if The Wonderland Alphabet could be credited to anyone other than Lewis Carroll, it would be Edward Gorey. This entry was written by Princess Alethea and posted on April 27, 2014 at 7:10 am and filed under Poetry. Bookmark the permalink. Follow any comments here with the RSS feed for this post.